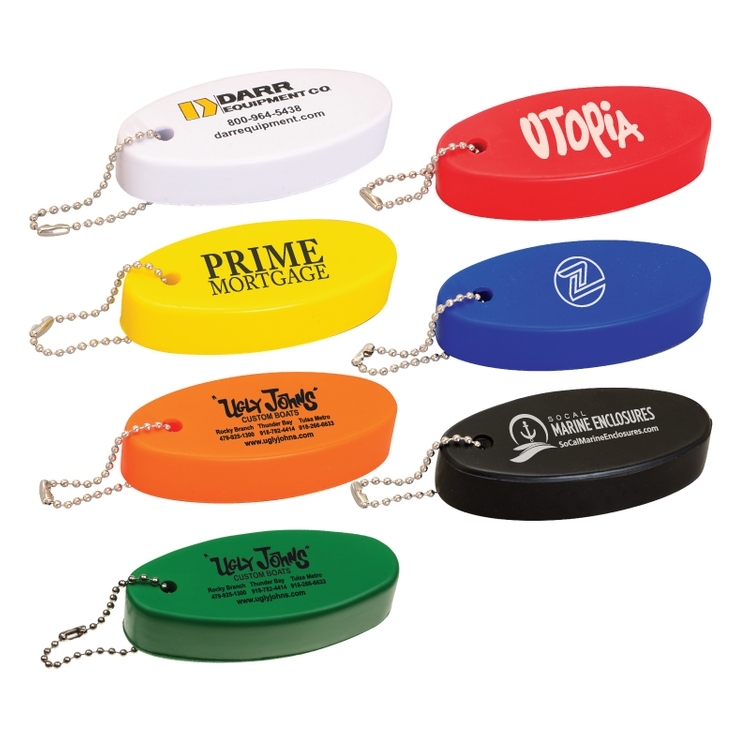 Buoy floater keychain perfect for hotels, island resorts, beach events, or anything in water. Features soft squeezable polyurethane foam with a matter exterior. This will keep your belongings floating in water. Includes a beaded chain for easy attachment to anything.